Continuous testing is the practice of testing across every activity in the SDLC to uncover and fix unexpected behaviors as soon as they are injected. Continuous testing is the embedding of testing as a fundamental and ongoing aspect of every activity through the application lifecycle, from requirements through production, to ensure the business value is being achieved as expected. As the pace of business continues to quicken, companies are starting to recognize that to stay competitive the process of developing and releasing software needs to change. Release cadence has greatly accelerated. There is no occasion anymore for a six- to 18-month find-and-fix turnaround in which the customer will find the delay acceptable. Things need to move faster, and they need to be ready and perfect faster. 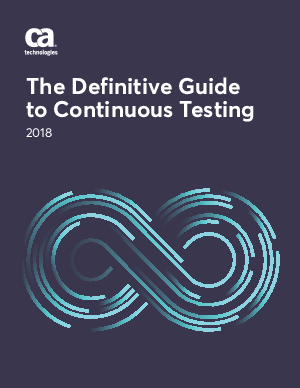 Download this whitepaper to find out how CA Technologies can help with your Continuous Testing.